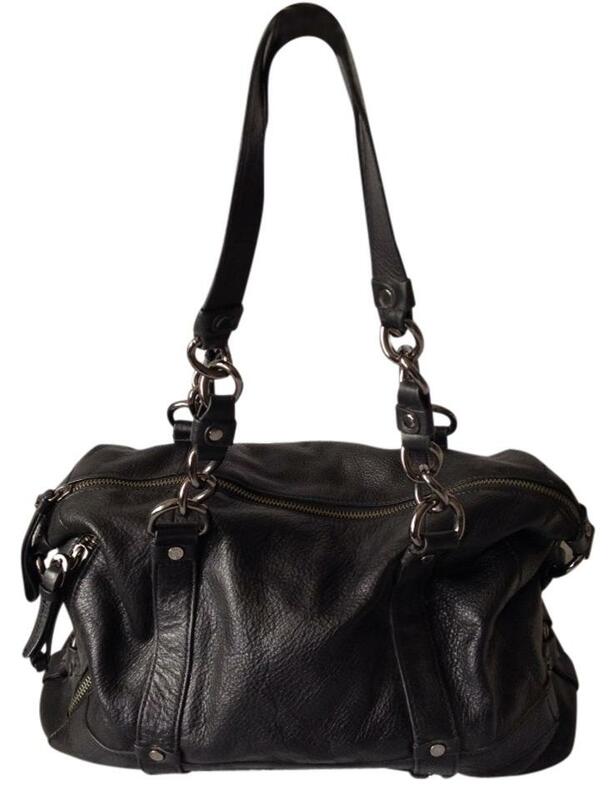 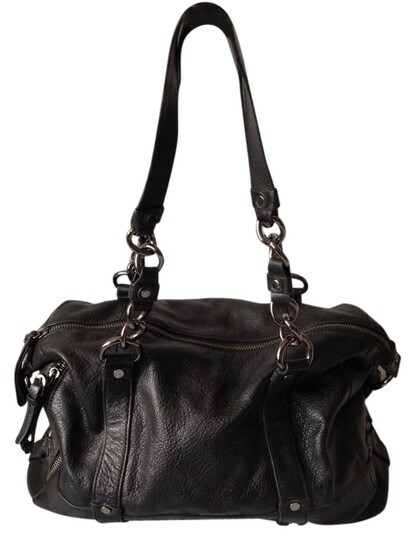 Black leather bag with metal hardware. 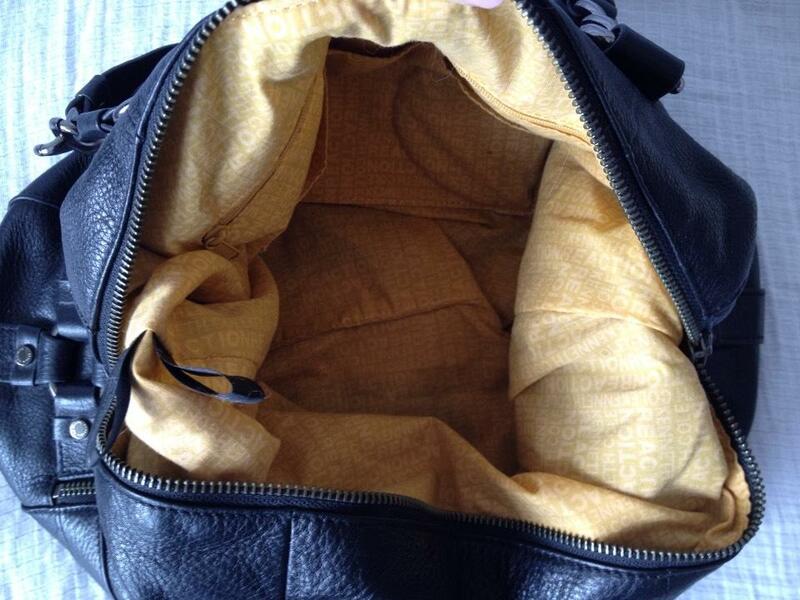 One zippered interior pocket and two open pockets for easy to reach items. 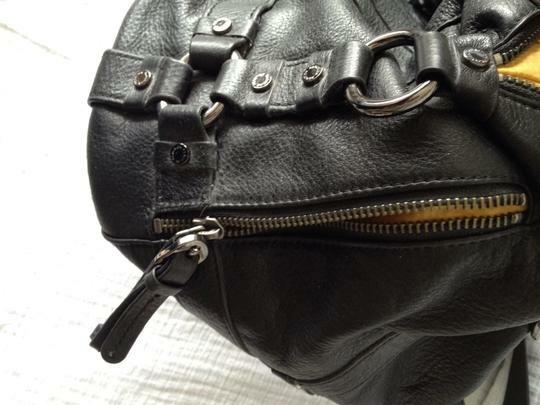 Exterior zippered pocket on one end is pictured for securing metro card or phone. 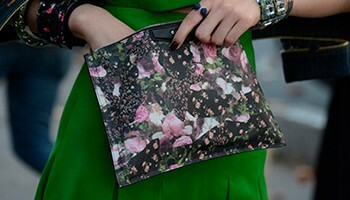 Fabric lining is printed with Kenneth Cole Reaction label.